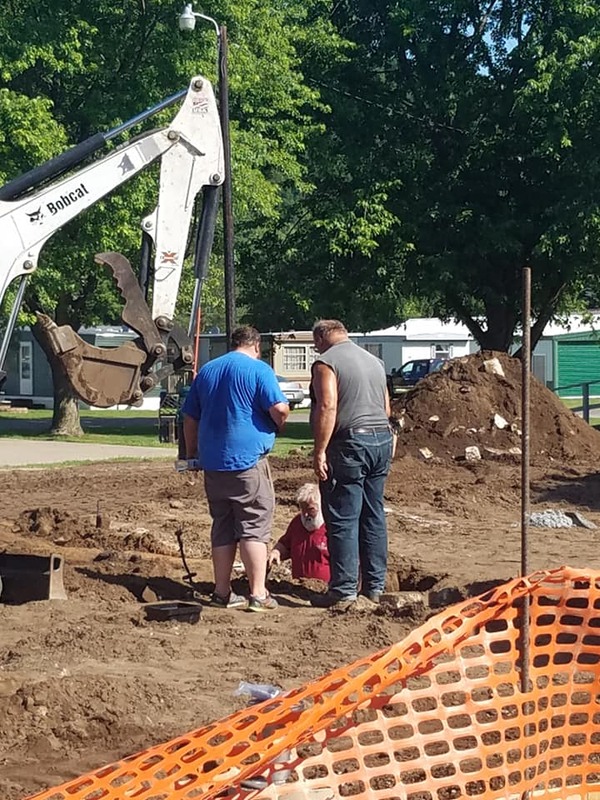 Volunteers are needed to help with installing benches/picnic tables and finishing up final details such as water features. Clean bathrooms and Spread grass seed. Click on Harpers Ferry Splash Pad on Facebook for more information and pictures. As of April 11, 2018 we have finally received our permit to drill the new well! This is such exciting news and we can't wait to begin! We will be drilling the well in 2 to 3 weeks and from there construction will begin! 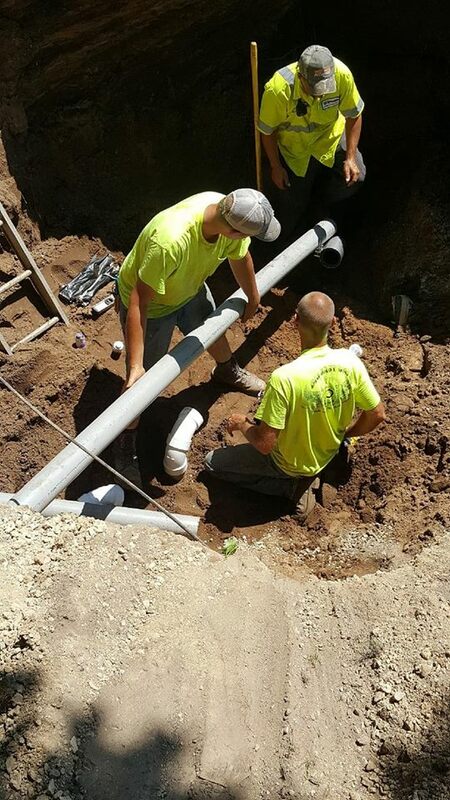 We have all the parts needed to get the splash pad setup, and recently ordered the water features. We are still in need of funds to fully complete the project and any amount is appreciated. Splash Pad bake sale on May 26, 8 to 11 am at American Legion in Harpers Ferry. 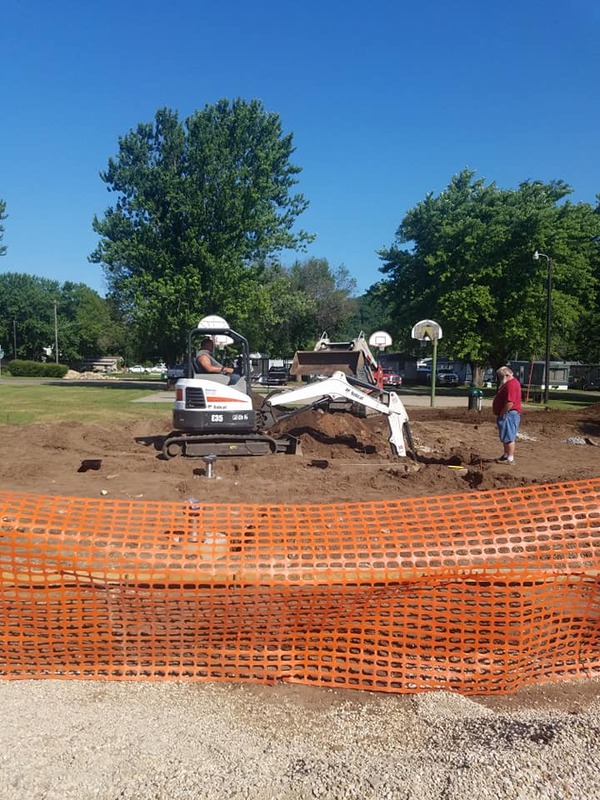 May 3 was the first step of preparing the park for the splash pad! 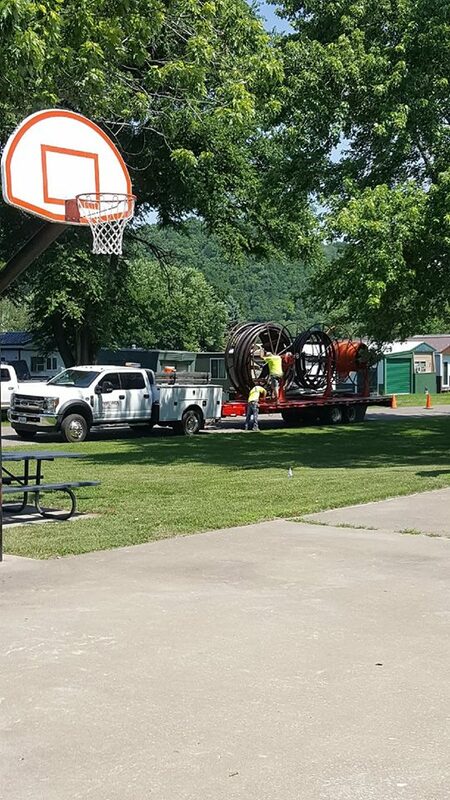 The Harper's Ferry City Maintenance employees worked hard moving the spider jungle gym out of the future splash pad location. We plan to drill the well and get the sewer prepped sometime in May! Stay tuned. The splash pad committee is so pleased to say that we have reached 50% of our $221,000 goal. Many other groups in Harpers Ferry and in the county are helping us. 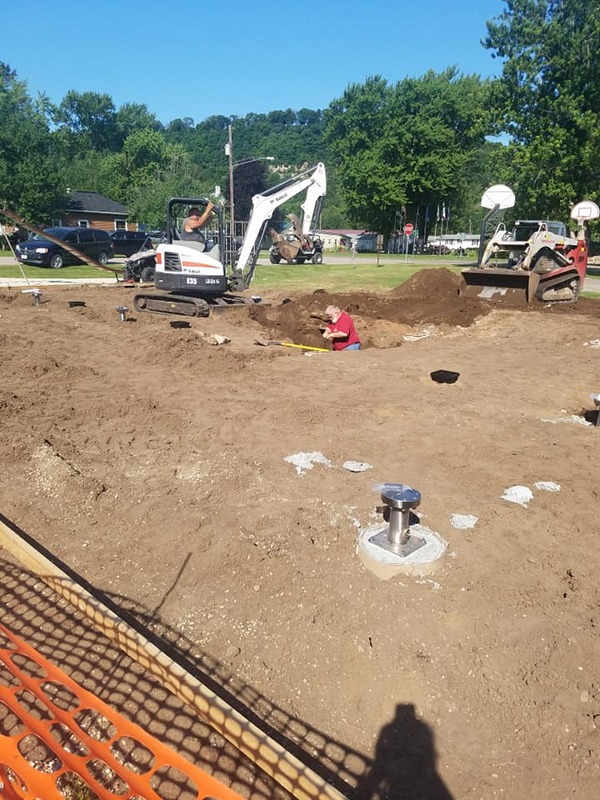 We are always hearing kids, parents and grandparents say they are excited that a splash pad is coming........to Harpers Ferry. Our committee is very committed to reaching our goal. We continue to fund raise and all donations are appreciated. 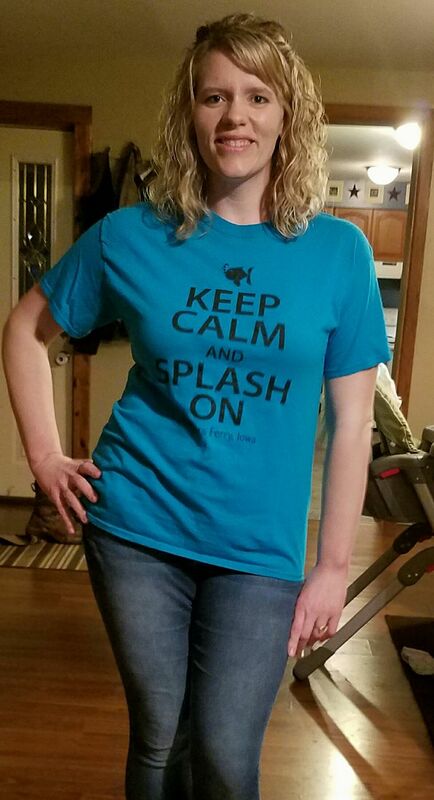 Check out the new Splash Pad t-shirts at events all summer long.